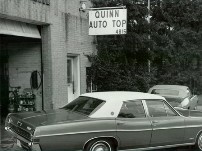 Welcome to Quinn Auto Top! Our upholstery shop is your best source for skilled and reliable upholstery services. We have been proudly serving the area for over 86 years. We specialize in auto interiors (including antique cars, classic cars, and modern cars) and convertible tops, as well as general upholstery services. 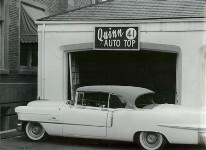 Copywrite © 2010 Quinn Auto Top. All Rights Reserved.